Whilst autumn brings with it scenic views of golden trees and early sunsets, we are often greeted by posters, sms’s and adverts from our pharmacies and GP’s urging us to “get our flu shot” for the winter. The flu shot debate seems to be constantly trending just before winter, with a rising crowd of skeptics convinced that it may be an unnecessary and expensive activity that again is aimed at tugging at the consumer’s very tight pocket. Whilst I respect everyone’s opinion, I thought it would be great to answer some of the most common questions posed by my patients regarding the flu vaccine. Isn’t flu just a “bad cold”? 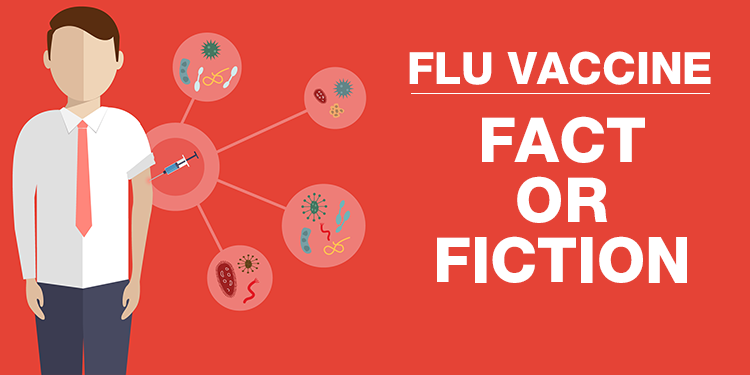 Even if flu’s and colds may share similar symptoms such as nasal congestion and sore throats, they are caused by entirely different organisms. Flu is caused by the Influenza virus (three types – ABC), particularly Influenza A and B. Flu also has a higher risk of complications and death. Can a person really die from a flu? Every year, people die from flu in the flu season. In 2009, the H1N1 virus (known as Swine Flu) Flu Pandemic caused up to 203,000 deaths worldwide. The truth is, most flu related deaths are under-reported because we usually put the complication (e.g. pneumonia, meningitis) as the cause of death, and not Influenza. The flu vaccine made me sick. Why? It is unlikely that the flu vaccine was responsible for you feeling sick, as the vaccine we use is completely inactivated, unlike some vaccines. That means that you are not receiving a small dose of flu in the flu vaccine. You may get a slight fever after receiving the vaccine, and tenderness around the injection site. Remember, the flu vaccine takes about 10-14days for you to have enough protection from influenza. If you have already been exposed to the virus before you get your vaccine, or you get exposed within 2 weeks, you may still get influenza. I still got sick in Winter. Why? Remember, the flu vaccine is geared to protect you from the influenza virus – the viruses that cause flu. You may still catch a cold but at least you won’t get the virus that can potentially take your life. So who must get the flu vaccine? Those who live with people with these conditions should also get the vaccine…. This reduces the chance of you getting the virus and spreading it to an individual at risk within your home. All this is just an unnecessary expense. Mmmm…….. this is always an interesting one. R60- R90 (You do not need to consult a doctor for the flu vaccine, unless you have other medical conditions that need to be assessed). Minimum a week off work because of the severity of the symptoms. If you do see a doctor: factor in the cost of the consultation: R350-R600. The cost of Oseltamivir (eg Tamiflu) which is used to treat influenza sits at about R375. Plus the other meds that treat the symptoms. This will set you back around R1000. This is if you do not need admission. We at Mediwell believe as a wellness centre that health is a special GOD-given gift, and we encourage you to treasure it: not to come to the doctor only to cure diseases, but come to prevent diseases and keep healthy as well. We believe in creating an environment where all our patients are able to make fully informed decisions about their health. Our doors are always open……7 days a week. We must also remember that all marathon runners should get their shots long in advance at least about ten days b4 the great run. What an eye-opener. knowledge is indeed a powerful tool 🙂 Now i’m well equipped with regards to the flue vaccine. Thank you Doctor!! If I am running a pre-school and I’ve got. 70 children who needs flue Vaccinne.Will I get a discount per. Child. Hi Phina, please email maliza@mediwell.co.za and we’ll get the Doctor’s in contact with you. Is it not late for me to get my flu vaccine? Hi @Phumzile – flu season hasn’t peaked yet, so you can definitely get it still. I would say latest mid June.